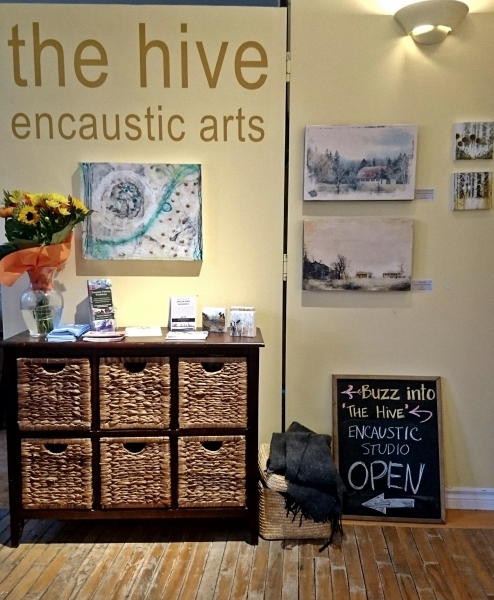 The Hive encaustic studio is a working studio space shared by Karen Brown and Kim Kool. We will regularly run workshops , both privately and in partnership with other artists, community agencies and charitable organizations. Check out Workshop page to learn more about what's available. Andrea Bird and Daniel Beirne opened ‘the hive’ encaustic art school and gallery in July of 2010. The Hive is also the home of Waxworks Encaustic Supplies .